Well Desk is the world’s most affordable and versatile standing desk. Its elegant design and functional simplicity are ideally suited to enhance your health and improve your productivity. 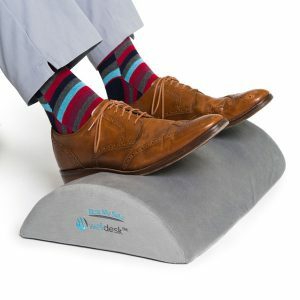 Our products grew out of a desire to solve our own health problems and chronic back pain related to sitting in front of a computer for most of our working hours. The flexibility of our standing desk allows you to work from multiple different positions. It has been optimized to be adjustable, affordable, safe and simple – an ideal solution for every user. Click on a product line to get started. Questions? Need a Bulk Order? Let’s Talk! I feel so much better after a day of standing I feel so much better after a day of standing – so much better than sitting. This is a great solution. This is very sturdy, and well worth the purchase price. I love the way it is small enough to not interfere with your sitting work space. I encourage anyone to try this!